"Overall I think Uyang offers excellent value for the money a..."
Have a question for Uyang Bed and Breakfast? "Nice place to stay and relax, good food." 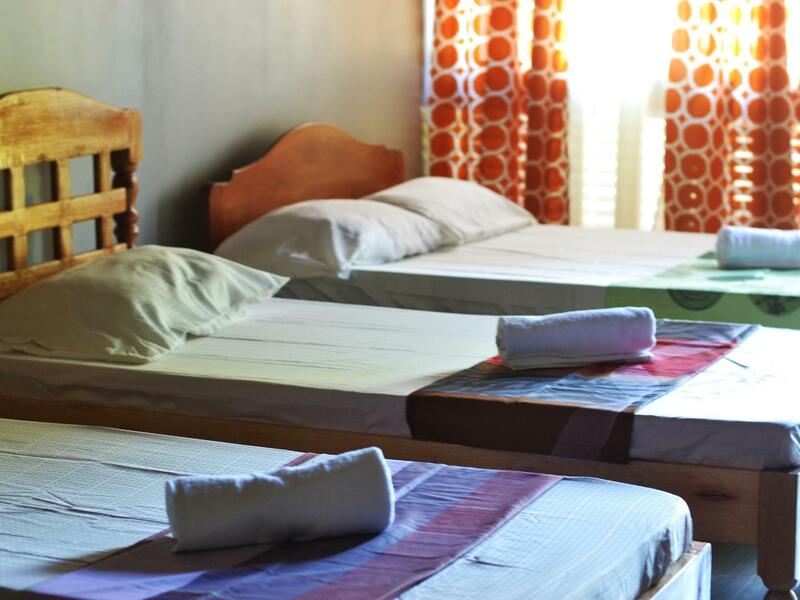 If what you're looking for is a conveniently located hotel in Puerto Princesa City, look no further than Uyang Bed and Breakfast. The city center is merely 5 Km away and the airport can be reached within 8 minutes. With its convenient location, the hotel offers easy access to the city's must-see destinations. 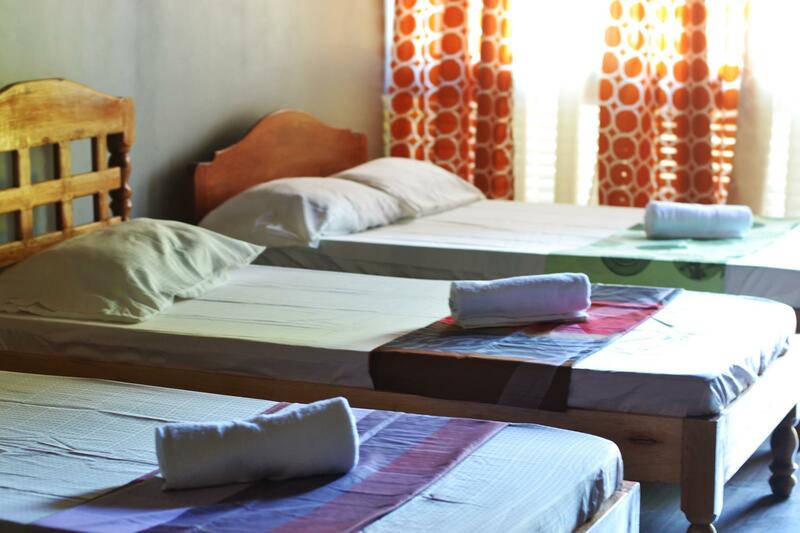 At Uyang Bed and Breakfast, the excellent service and superior facilities make for an unforgettable stay. Guests of the hotel can enjoy features like 24-hour room service, luggage storage and tour assistance. All guest accommodations feature thoughtful amenities to ensure an unparalleled sense of comfort. Whether you're a fitness enthusiast or are just looking for a way to unwind after a hard day, you will be entertained by top-class recreational facilities such as massage, golf course (within 3 km), garden. Discover an engaging blend of professional service and a wide array of features at Uyang Bed and Breakfast. "We got the nice room in a very discounted rate [thanks Agoda..."
Free airport pick-up is available but guests need to provide complete flight arrival details at the time of booking or at least 24 hours prior to arrival. Otherwise, it is no longer guaranteed and will be subject to availability. Please note that flight arrival details (Puerto Princesa Airport) should be the same as check-in date. Only stayed at place for 1 night. Owner and staff very friendly and helpful. The rooms are good set back from the road so nice and quiet, A/C was good, only had cold shower although shower heater installed. Bottle of water in room, Breakfast was included, omelette and sweet layer bread, fresh coffee. Lift to airport was included. The room is about 20-25 minutes walk from Rizal St. I would stay here again if I return to PP. The people were nice the breakfast was not 2 eggs and bread. There was no other options. Very difficult to get a tricycle to go anywhere. The Room was OK . 2 times tried to to shower no water is not very good. Nice quiet place. I don't think I would stay there again too far away. For bed and breakfast only eggs and bread is not enough and they were cold eggs. People were very social. Didn't have my Room Cleaned for 4 days. We loved our stay here! Alfred was a fabulous host and very helpful. He also assisted us on our tour(Underground River) even if it was a last minute. 😊 The place was very nice and comfy. We only had a problem with the washroom but Alfred transferred us immediately in another room. Would definitely recommend staying here!! I chose Uyang because it looked very pretty in the pictures. Uyang is prettier in person. I stayed for 5 days for a conference. The owner met us on the first day to welcome us to the place. He even helped us book a tour. I asked if they knew any laundromats nearby to have my shirts ironed and he lent the iron board for free! when we stayed there we were the only guests so we just had to coordinate about having the gate be open or closed. There are dogs around but all of them are really friendly. The room itself is very spacious and beautiful. The water in the bathroom is a little weak but just fine. The location is pretty good for commuting even if it is not located on a main road, thus I would not recommend this place for people who have trouble walking. The road its on is also not finished so there's lots of mud to walk on. An upside to not being on the main road is that the place is so quiet and peaceful. They would text us also about room cleaning, and other things. location is far from the road and is inaccessible. asked for a daily tricycle to come since i have a seminar in the coloseum however unable to accommodate. A bit out of the way location from the city proper but it has peaceful, green surroundings. You can hear birds chirping in the morning. Room is spacious. Friendly, hardworking staff. Sadly, the hot shower does not work and the wi-fi is soo slow, but overall a good stay! We got the nice room in a very discounted rate [thanks Agoda! :)]. The owner is very approaching and accomodating, with lot of chikas to tell. The place is nature friendly that brings out its instagram-worthy for taking photos. Breakfast is good. I'll definitely recommend this place! General: Small place. Tasteful design. Good for a quick stay. We only stayed overnight before heading to El Nido. There was no sign in front so passed it several times before finding the place. Staff: Friendly and makes up for not being prepared for our arrival. Breakfast: Tiny portion. No selection. You will not be full. Decent egg sandwich and fresh half of a fruit. Room: Clean, spacious, hot water worked. Decent for the price. We had 3 beds in the room! Overall: I would stay there again for quick (transient) stay but not for holiday. Alfred was really helpful when we arrived. The rooms are modern and clean. The Wi-Fi is good also. With the breakfast it’s done to the time you are ask and is good. Coffee is perfect too as it’s drip rather than the typical Nescafé. This was a great place to stay. It is off of main road, so very quiet; however, close to all things. Staff was very friendly and helpful! Property was pristine and very clean. This is the perfect place to stay! Exceptional service, friendly staff, affordable room rates! Owner, Alfred Llagas is very knowledgeable of the places to see and where to get the best food in Puerto Princesa! The guy smiles a lot and is never lost for words if you ask him about Puerto Princesa. We stayed here 2 nights before leaving Palawan. Hotel is very clean. Staffs are very friendly and helpful, provided us a lot useful information, especially about Vietnam food restaurants. We would stay here if traveling to PP again. After all the good reviews for Uyang I was surprised to have such a disappointing experience. I found Alfred boarderline rude. In contrast to the rest of my stay in the Philippines, this place lacked warmth and hospitality. Uyang was a great place for a brief stay in the city. It was away from the noise of the city but still near enough from everything else so it was very easy getting around. The owner Alfred was also very friendly and accommodating, and was helpful with suggestions for things to do and places to go in Puerto Princesa. He even assisted us in booking our day tour and getting arrangements for our trip out of the city. We would definitely consider staying here again on our next visit to Puerto Princesa. This is a quiet location off the main drag but within walking distance of a number of restaurants. It has a pleasant green yard, and the accommodation is well kept. The breakfast is basic but adequate, and the owner is most helpful. If you want to do any tours in the area be sure to book them through him as he will look after you.